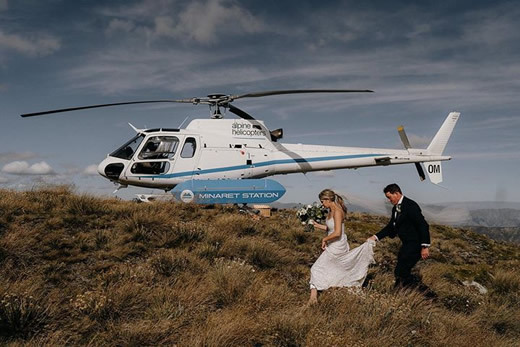 Alpine Helicopters will ensure you arrive at your wedding destination in comfort, safety and style. We have several different options available dependant on the season. 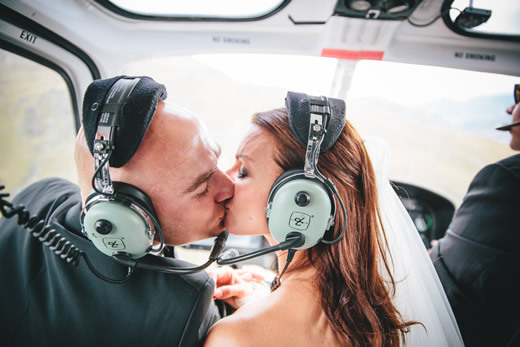 You can land on a glacier, view waterfalls, hold your ceremony next to a high alpine lake or on a lonely beach on the West Coast. We can cater for any group size and are happy to tailor a flight to suit your particular requirements and budget. We can fly you to a number of sites offering stunning backdrops that will provide you with everlasting memories and extraordinary photos. Whether it be a tussock covered peak with spectacular views of Lake Wanaka, or a remote snow covered mountain surrounded by glacial carved valleys, you will experience the romance and beauty that Wanaka and Mount Aspiring National Park have to offer.